The program provides a quick path to make custom settings like channel voices (instrumentation) or tempo to match your keyboard and performance. It divides channels into individual files to create accompaniments. 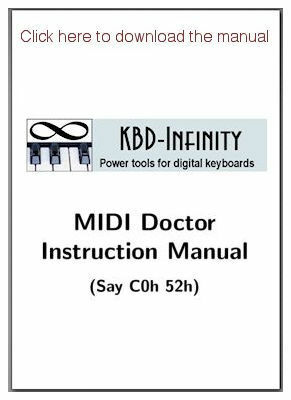 MIDI Doctor removes unwanted or unnecessary information following your specifications. The program corrects the order of MIDI messages and stores files in a standard Type 1 format. Change instrument voices of individual MIDI channels. Remove channels or divide channels into separate files. Generalize a file written for a specific synthesizer or keyboard so that it may be played on any device. 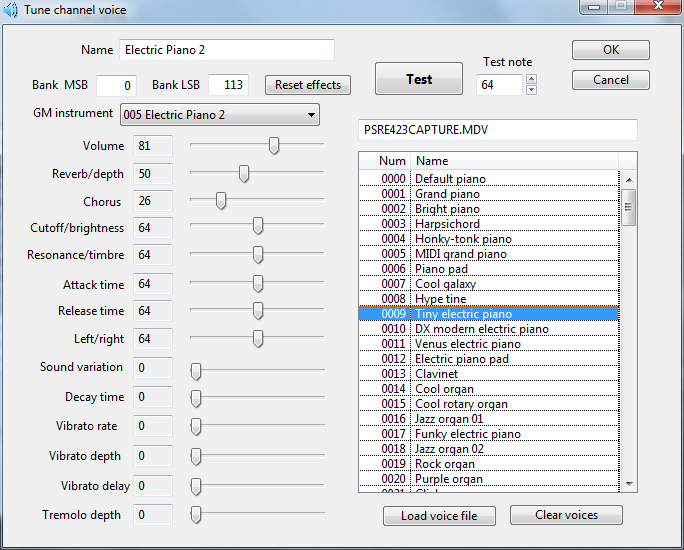 Add XG voice specifications for individual instruments to optimize a file for your keyboard. Change all tempo messages in a file by relative factor to speed up or slow down a piece. Equalize the volume levels of individual instruments or change the general volume level in a file. Transpose notes in accompaniments to match the key or range of your instrument. Remove MIDI data that may be unnecessary for your application or synthesizer, such as text, lyric, marker, file identification or system exclusive messages. Invoke the full range of MIDI controls recognized by your synthesizer (brightness, reverb, decay time, ...). Quickly set channel voices from INST specifications for your keyboard.